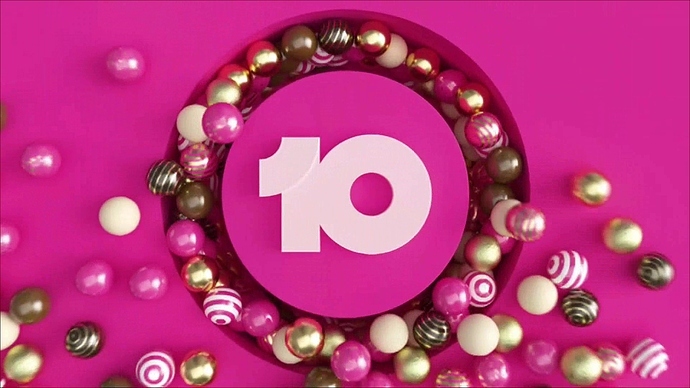 10 sec Christmas ident from tonight. Wow, this would have to be Ten’s first Christmas Ident in years! 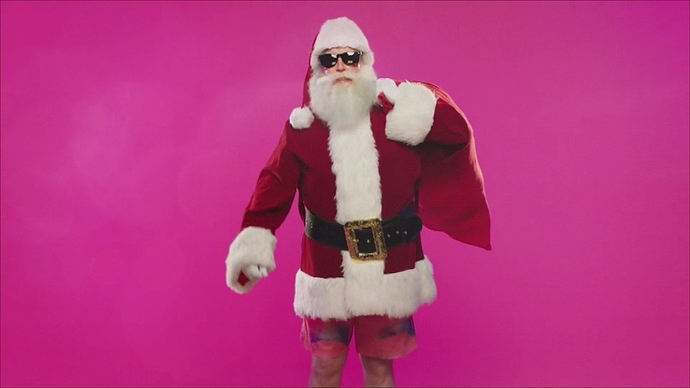 Not a bad effort though, especially for the bit at the end with Santa in shorts - very Australian. 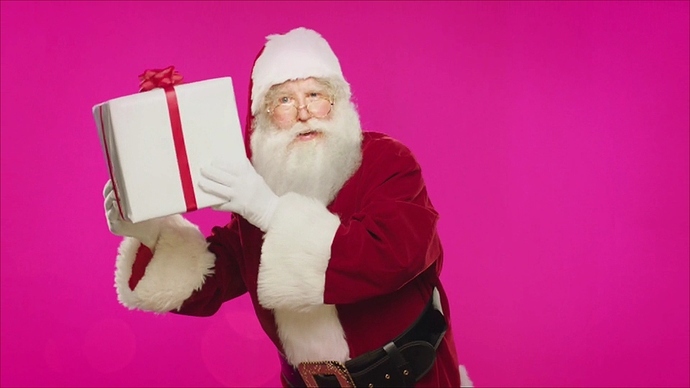 I thought that this Santa reminded me of the voiceover guy Robbie McGregor. Everyone is a comedian these days! 10 Bold is using the same music 7flix used as their ‘ID’ reel this year for NCIS LA, the bang bang song. I know networks often inadvertently or knowingly use music other promos recently used, don’t think it matters much. Is a former Ten V/O back? The male who came after the one now at Nine, but before the recently departed one as a result of the “10” rebrand? Heard him tonight voice the sponsor billboard for The Project “headlines” at 10pm. 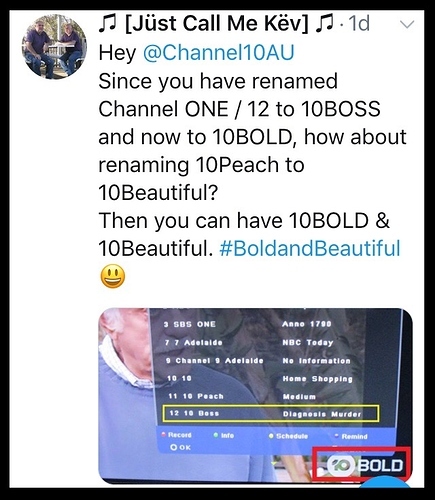 Havent been following TV much, but did ten change TEN boss to TEN bold? If so, does anyone know why? It was quite an interesting transition as well, from Boss to Bold. There was an episode of Judge Judy broadcasting with the Boss watermark, PRG etc and ad breaks containing the Boss ident. Then Judge Judy ended, went to Bondi Vet and the PRG/watermark opened with Bold. Wasnt until the 1st ad break that we saw it become Bold. Very interesting! Stored in my archive in .ts format for future reference. From what I understand ever since the rebrand 10 have had a dispute with the Australian Financial Review’s BOSS liftout, which is owned by Fairfax which is now owned by Nine. That’s also why they kept changing the logo around in the first few days of the rebrand. 10 finally caved when Nine/Fairfax threatened legal action. they didn’t just threaten action, they had proceeded with it. Just saw a summer ident on Ten with a waterslide, only about five seconds. Is this new? Yes. It was on last night. There’s a beach one too with the 10 logo in the sand.